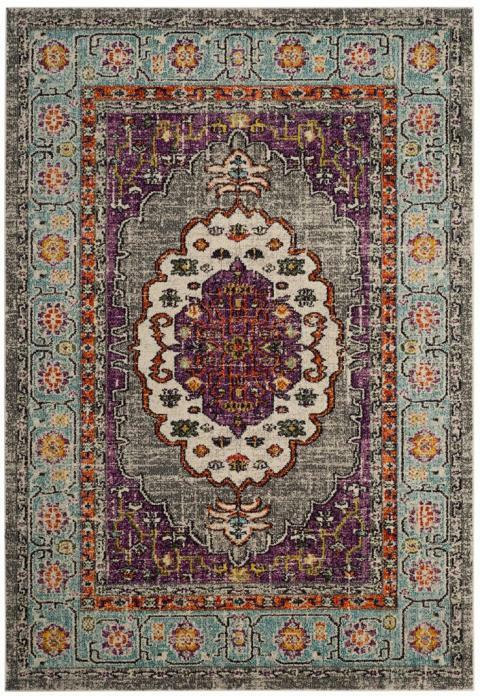 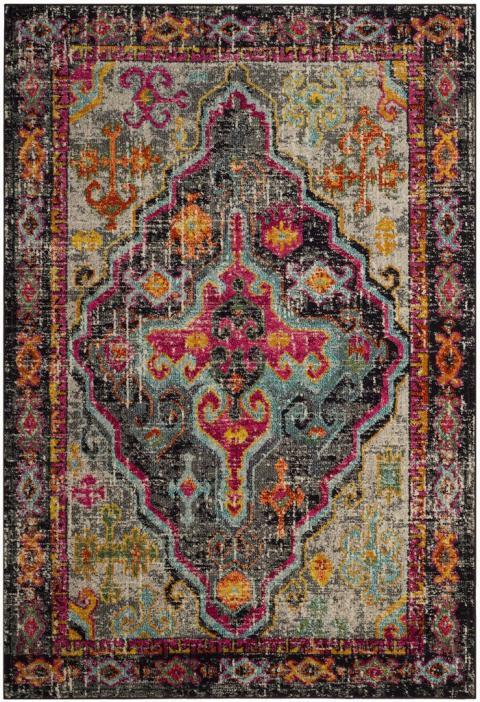 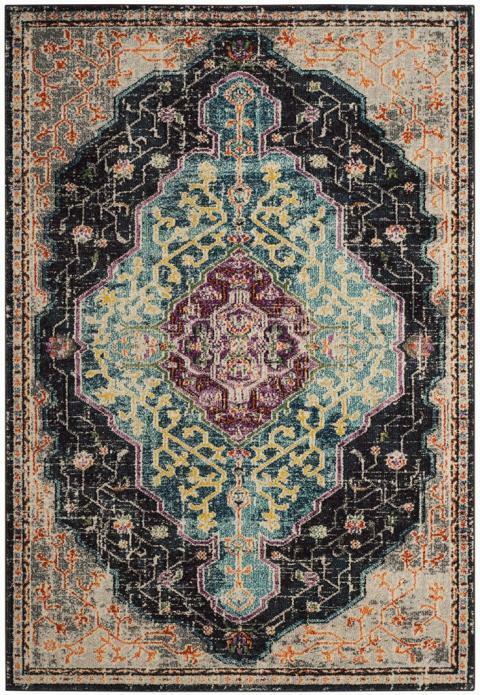 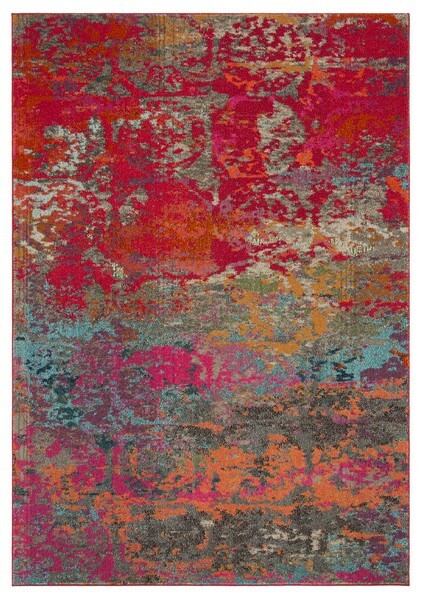 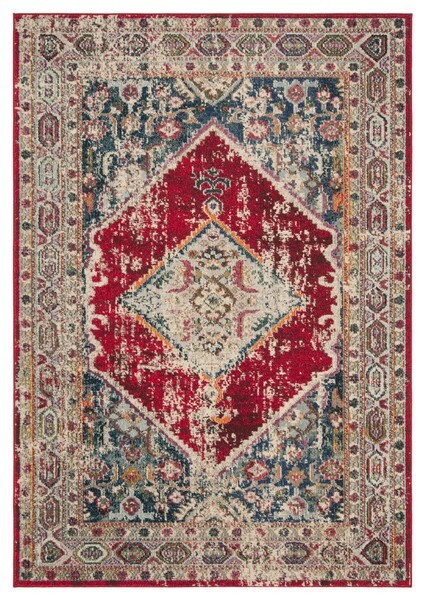 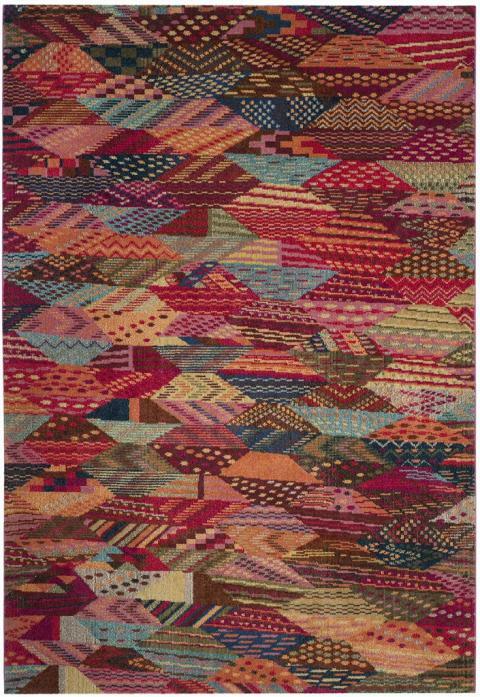 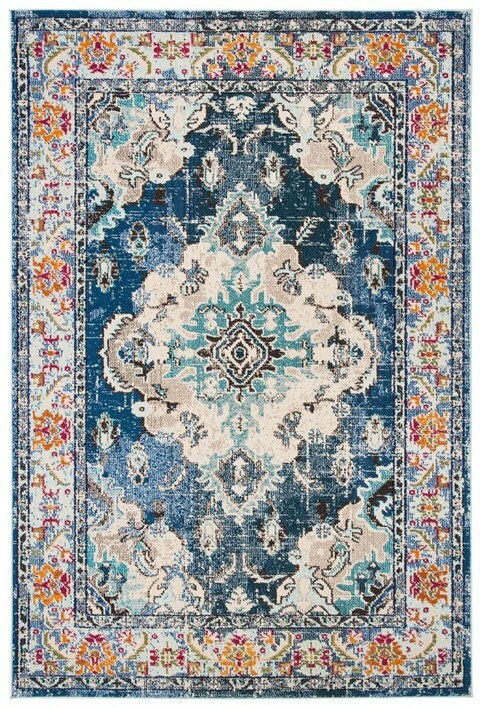 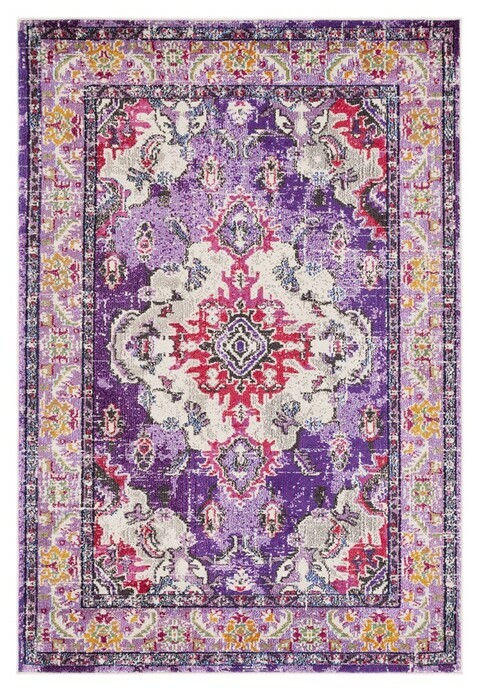 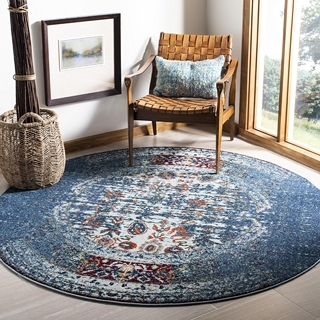 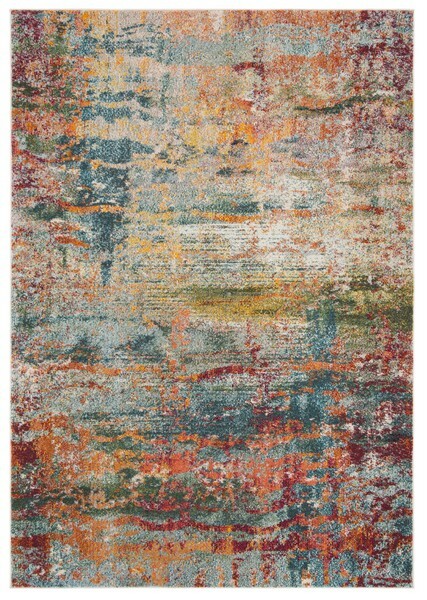 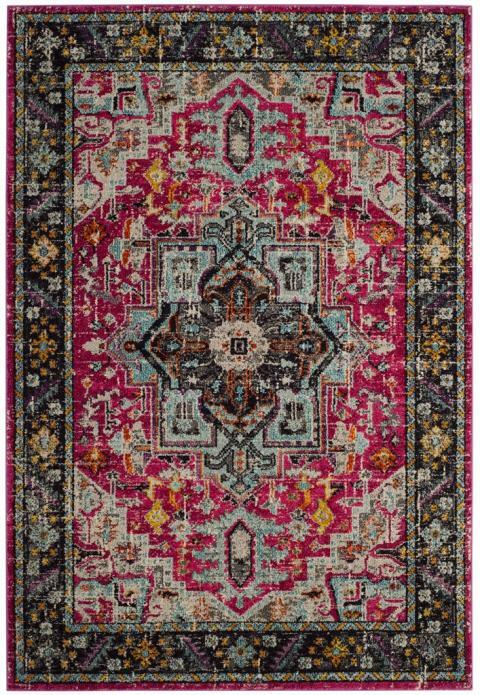 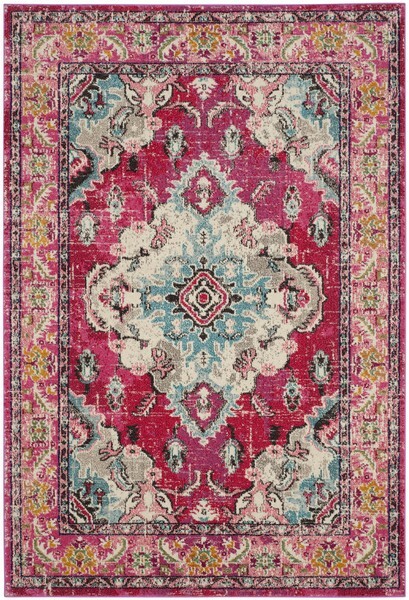 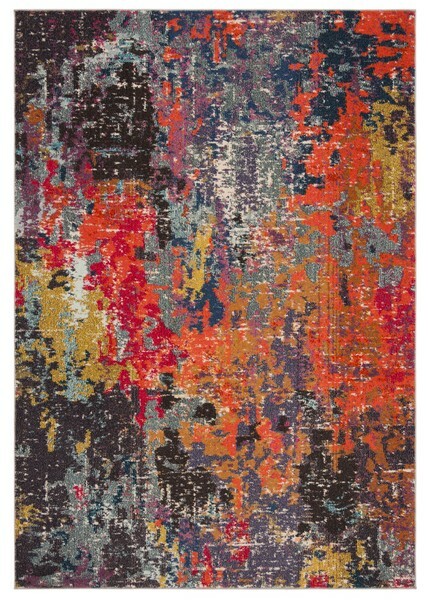 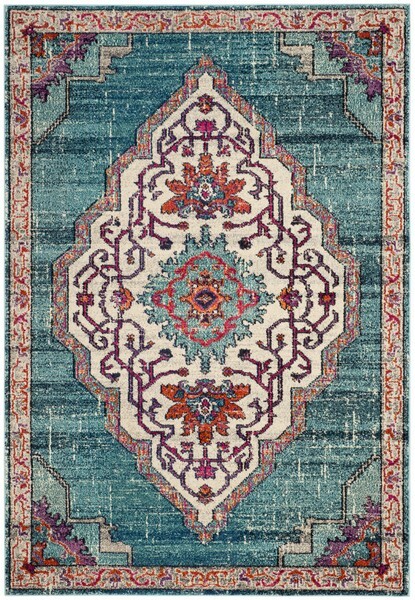 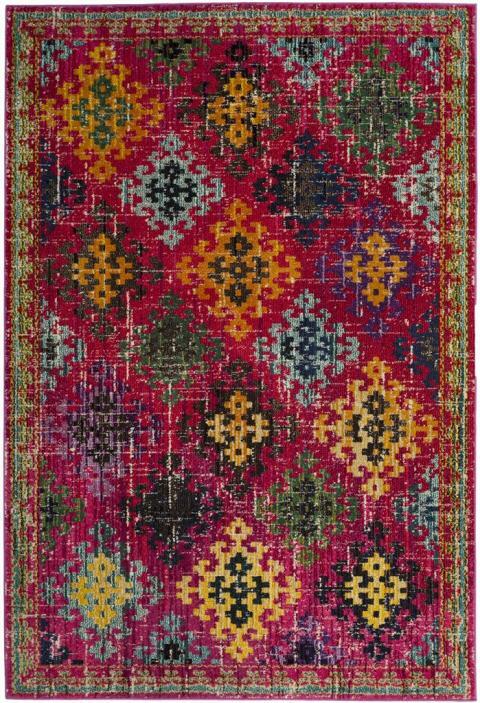 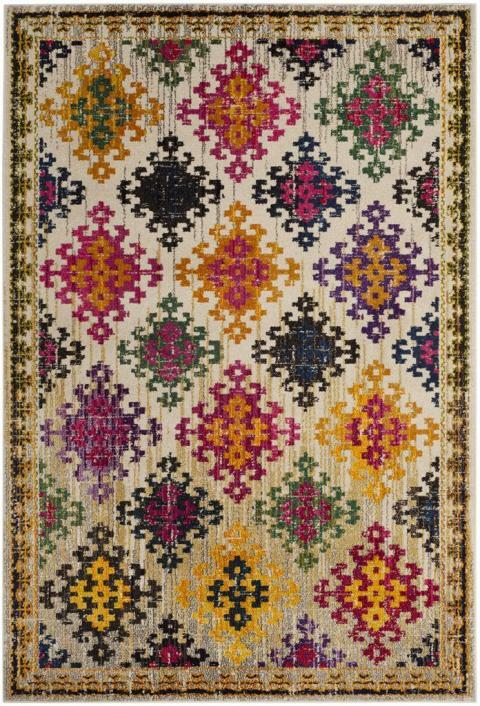 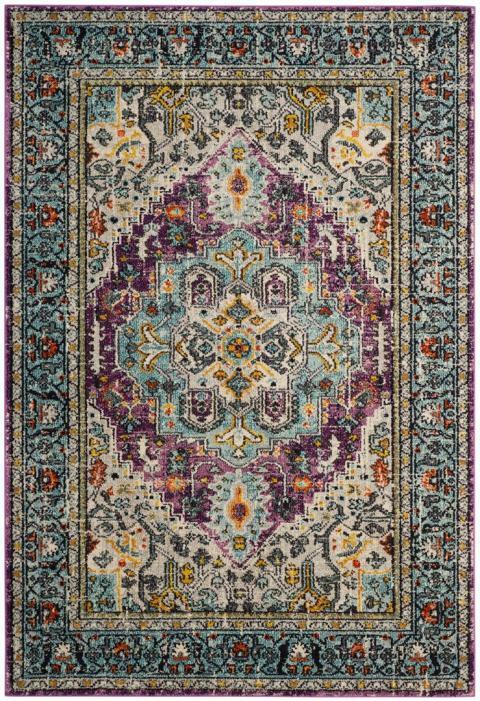 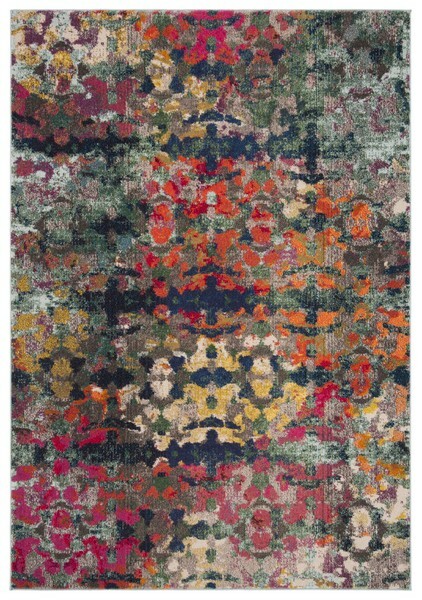 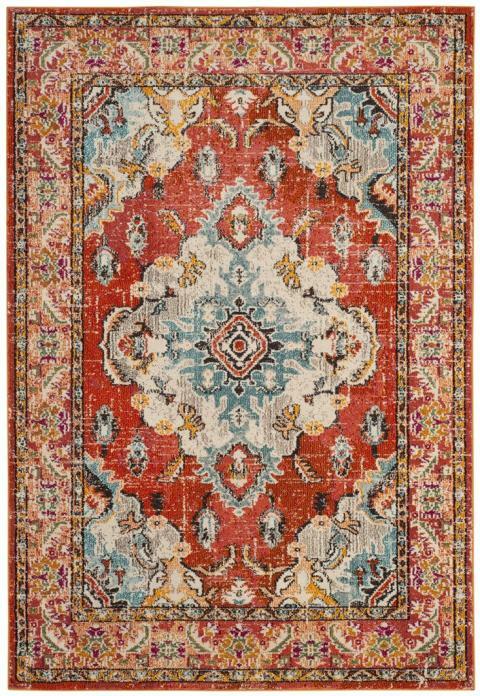 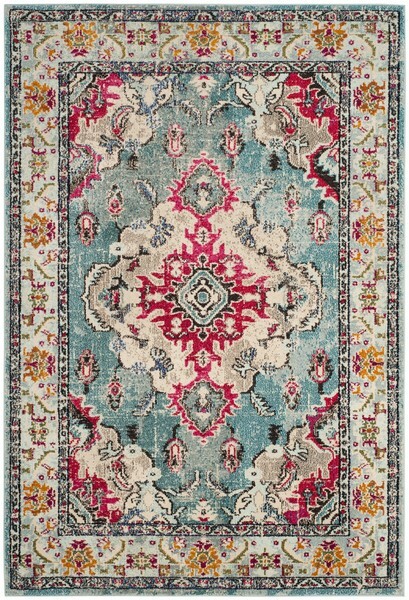 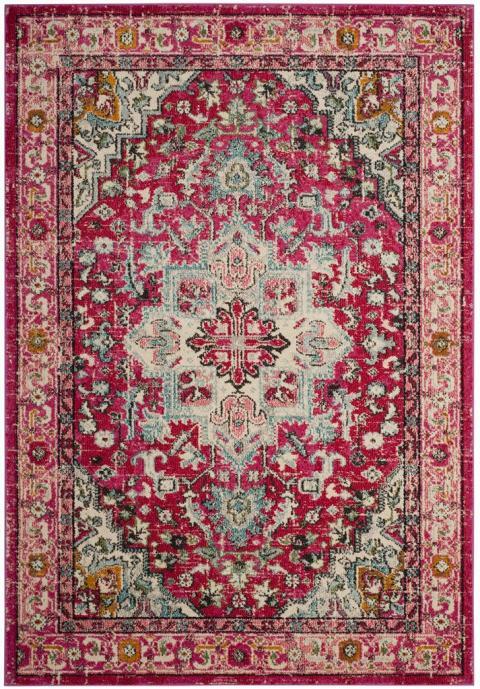 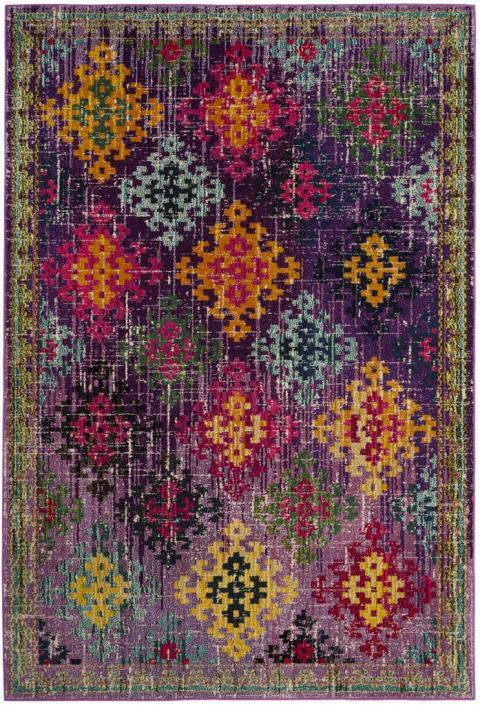 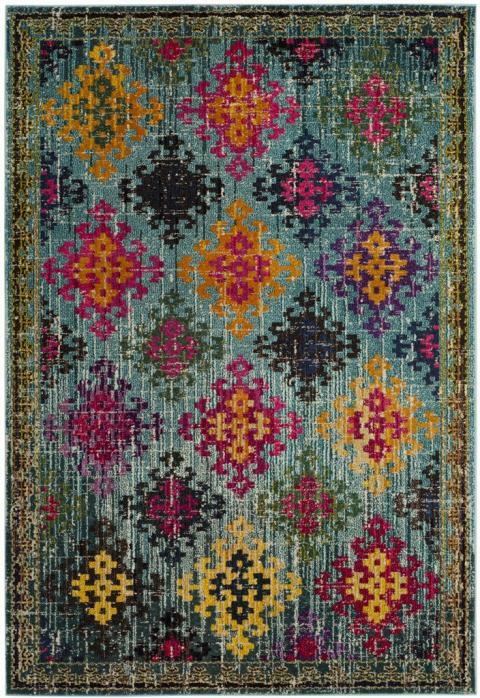 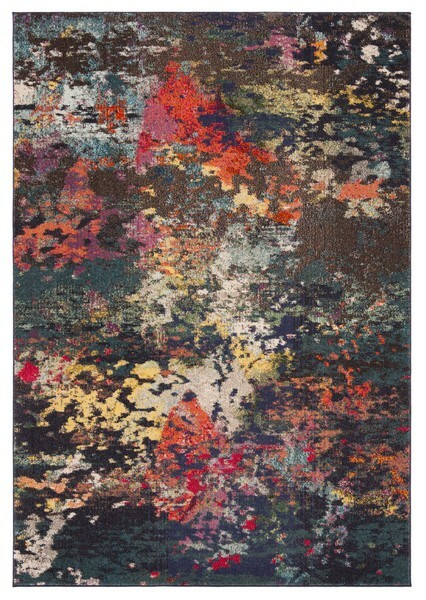 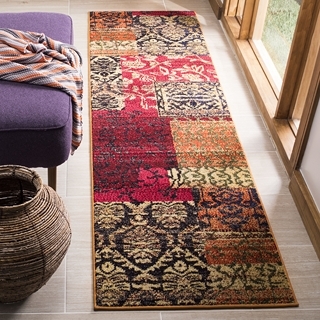 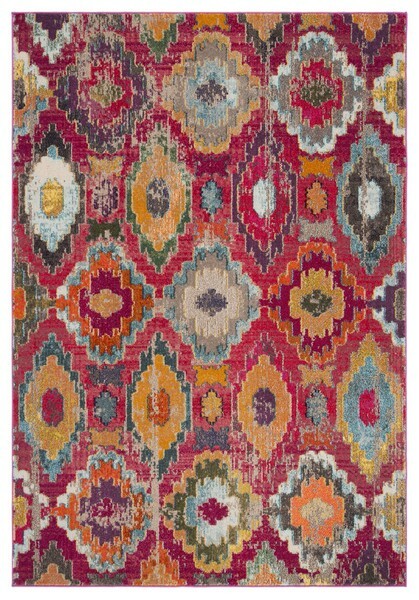 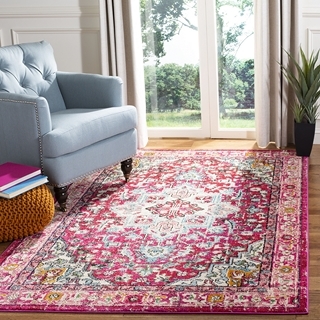 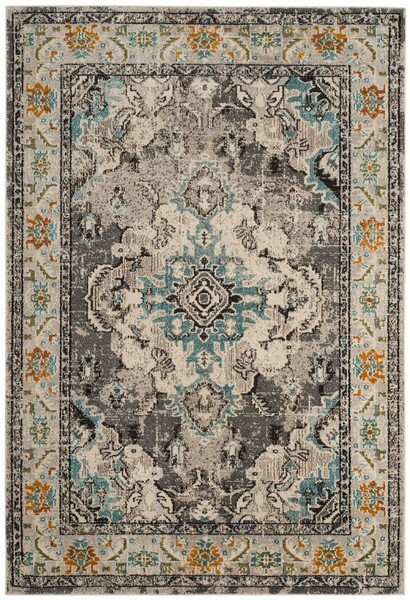 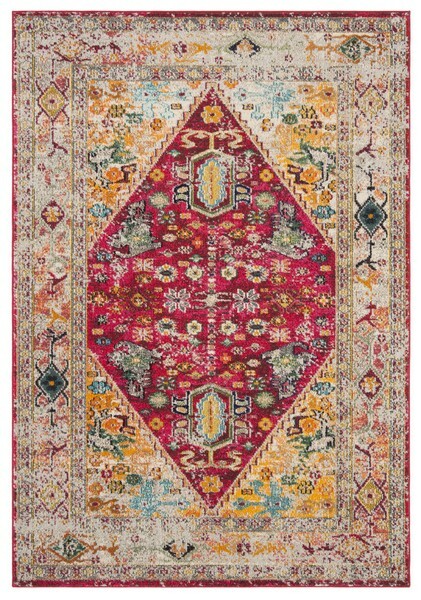 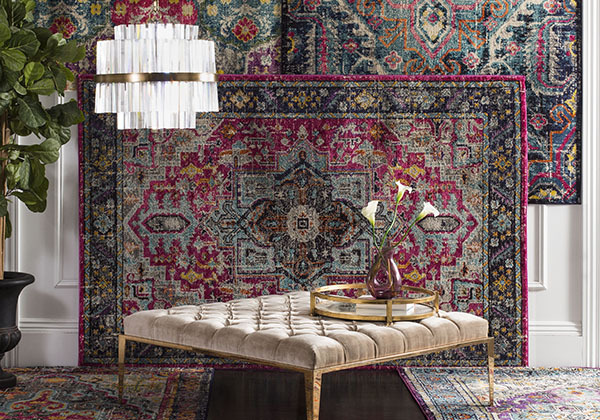 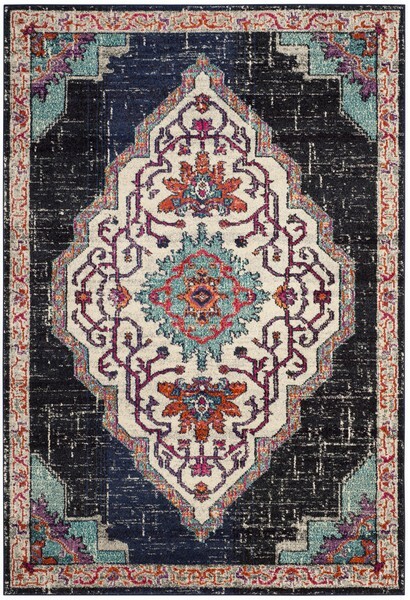 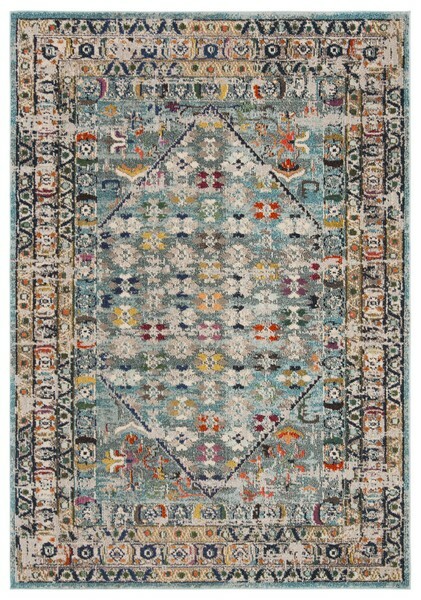 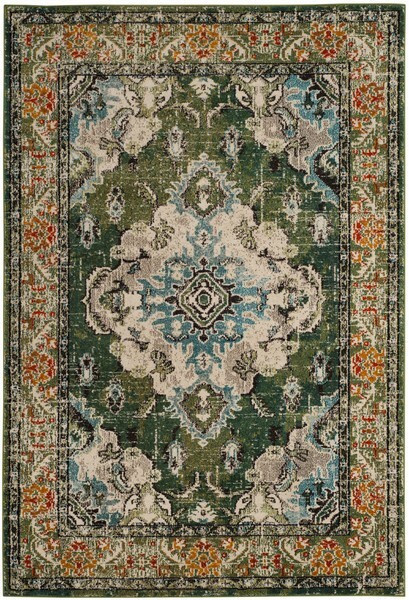 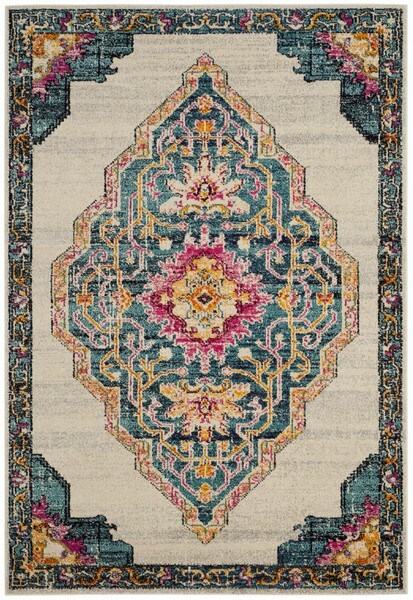 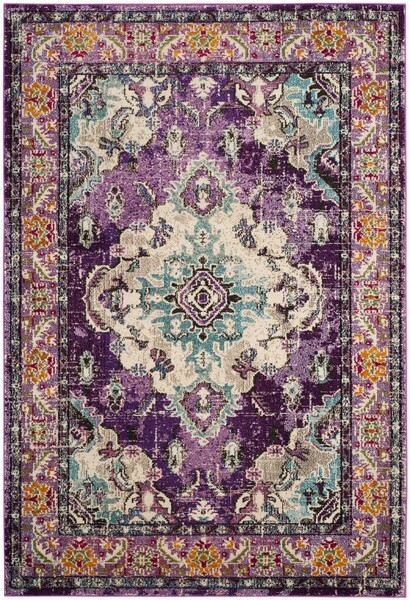 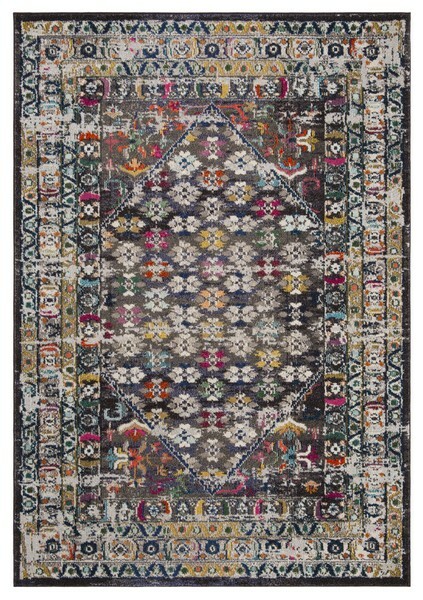 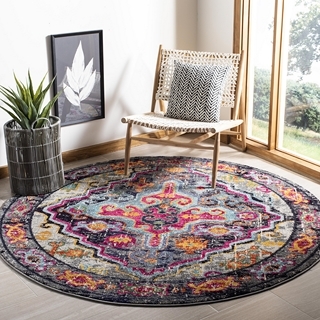 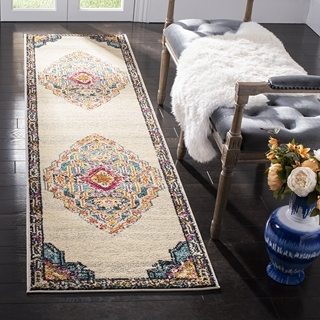 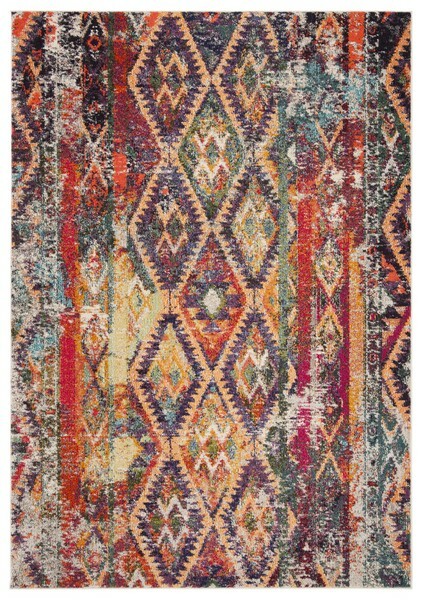 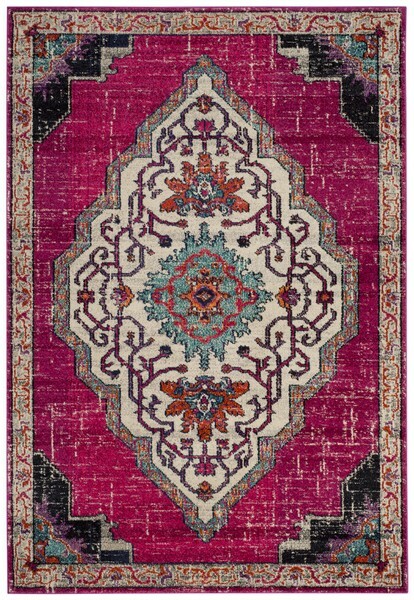 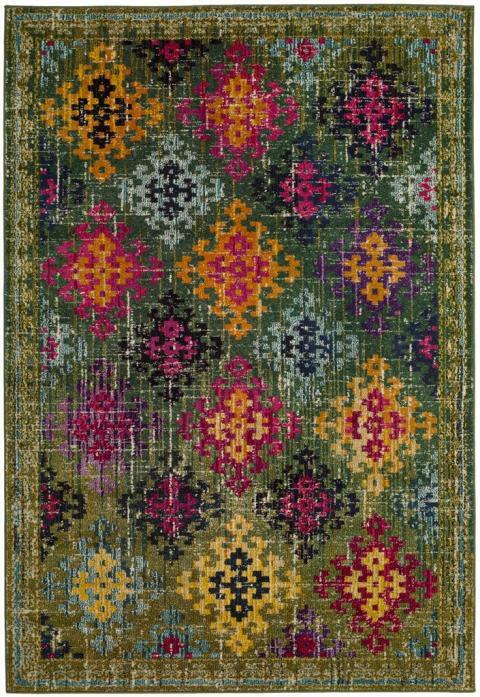 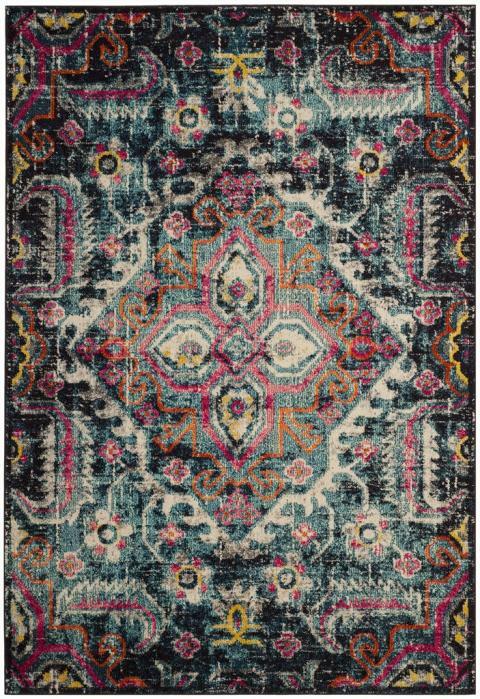 Free-spirited and vibrantly colored, the Safavieh Monaco Collection imparts boho-chic flair on fanciful motifs and classic rug designs. 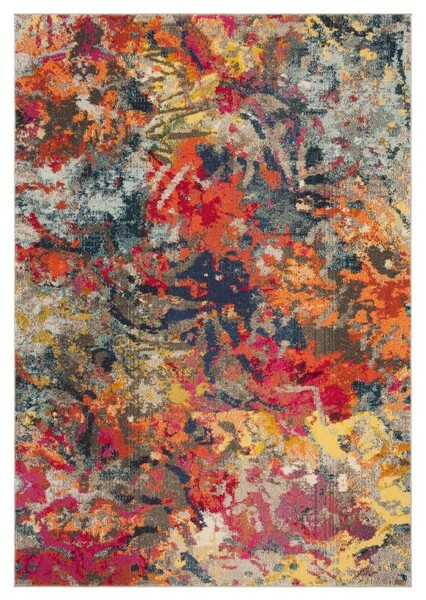 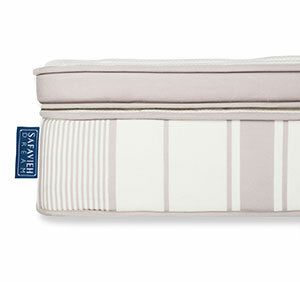 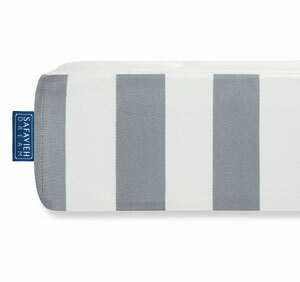 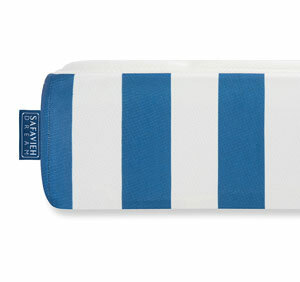 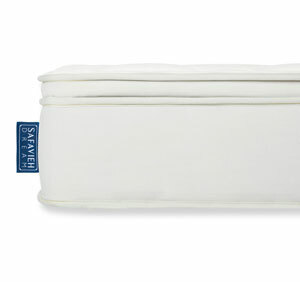 Contemporary decor preferences are indulged in the trendsetting styling and addictive look of Monaco. 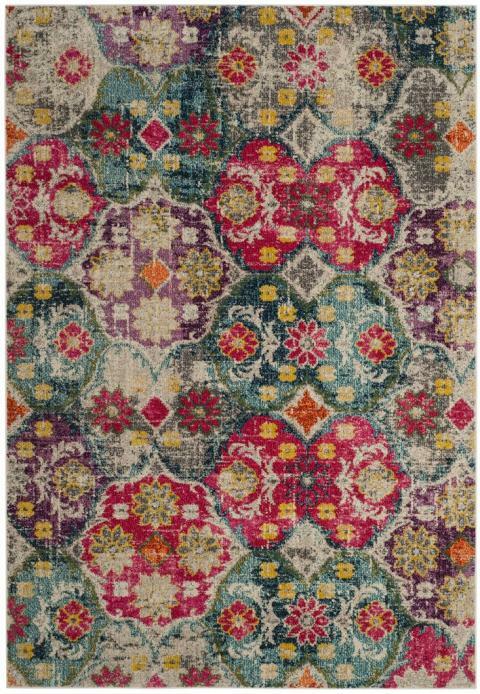 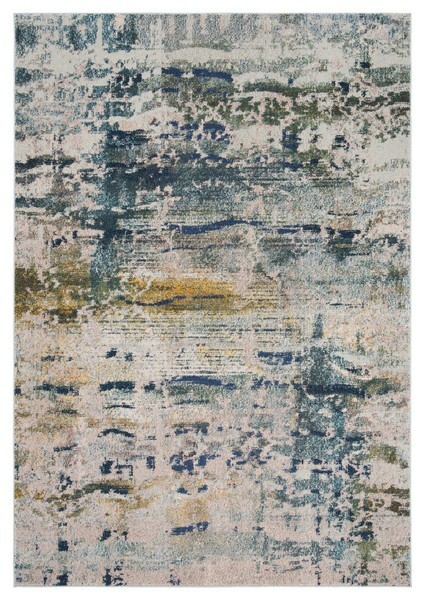 Power-loomed using soft, durable synthetic yarns creating an erased-weave patina that adds distinctive character to room decor. 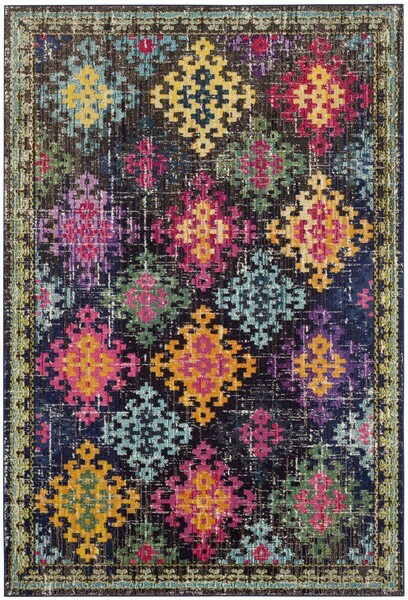 MNC250J - 5' 1" x 7' 6"